The Chevrolet Impala is a full-size automobile built by the Chevrolet division of General Motors introduced for the 1958 model year. Deriving its name from the southern African antelope, Chevrolet's most expensive passenger model through 1965 had become the best selling automobile in the United States, competing against the Ford Galaxie 500 and the Plymouth Fury when full-size models dominated the market. The Impala was distinguished for many years by its symmetrical triple taillights. The Caprice was introduced as a top-line Impala Sport Sedan for the 1965 model year becoming a separate series positioned above the Impala in 1966, which itself remained above the Bel Air and Biscayne. 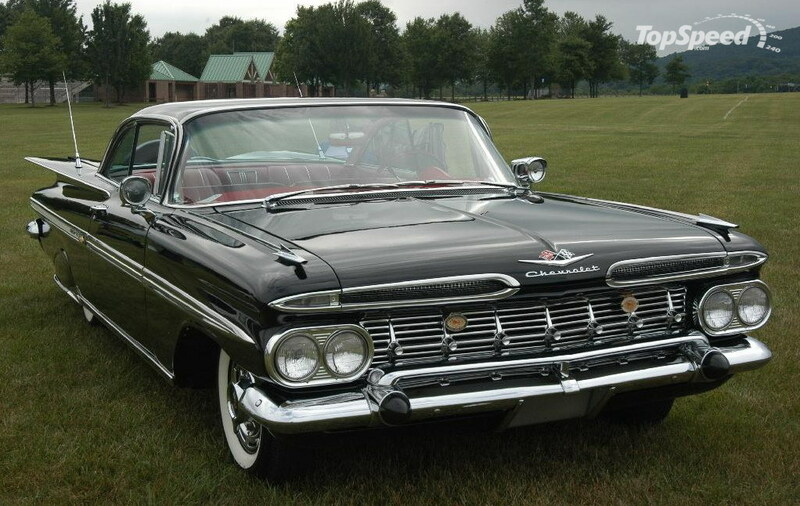 The Impala continued as Chevrolet's most popular full-size model through the mid-eighties. Reintroduced for the 1994 model year, the Impala SS was produced through 1996 based on the Caprice Classic sedan. The SS featured a 5.7-liter (350 cu in) small-block V8. The current Impala model range produced since 2000 is built on a front wheel drive (FWD) mid-size platform.